Welcome to Choose Your Insurance. We are a UK based company with offices in London, South Devon and the Midlands. We set up Choose Your Insurance to assist customers who are looking for those additional insurance products that provide that extra peace of mind. We wanted to create a website that was easy to use and allowed you to purchase great value products in your own time and at your convenience. Choose Your Insurance is a trading name of Virtual Insurance Products Ltd. We have over 40 years experience and supported by some of the biggest names in the insurance market. Virtual Insurance Products Ltd are directly authorised by the Financial Conduct Authority (FCA) and you are protected by the Financial Services Compensation Scheme. Our FCA number is 307038 and you can check our details by visiting the FCA's website at register.fca.org.uk or by calling them on 0800 111 6768. 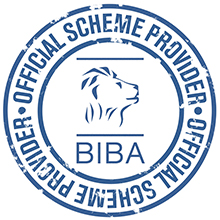 We are also members of the British Insurance Broker's Association (BIBA). Managing Director at: Choose Your Insurance, The Estate Office, Shadrack, Berry Pomeroy Totnes, Devon, TQ9, 6LR, phone 0330 111 3998 or email info@chooseyourinsurance.co.uk. Within 8 weeks of receipt of your complaint with will endeavour to provide you with a final decision. If we are not able to provide a final decision at that time we will explain why, the reasons for the delay and an expected time frame for providing you with a final decision. If you are still not happy with our final decision or if you have not received our final decision within 8 weeks of us receiving your complaint you can pass your complaint to the Financial Ombudsman Service. The Financial Ombudsman Service is an independent organisation and will review your case. This does not affect your right to submit your complaint following the process above. Please note that under current rules the European Commission will ultimately redirect your complaint to the relevant ADR body detailed above.